Want pulled pork in a hurry? With the pressure cooker, you can have tender, fall-apart pulled pork in just a little over an hour! Elise’s low-and-slow slow cooker Mexican pulled pork is fantastic, but when I forget to plan ahead or want it to be ready a little more quickly, I make this speedy version in my Instant Pot. Whether you make this pressure cooker version or the slow cooker version, try to allow some time for the pork to come up to room temperature before you begin cooking. This helps the pork develop a better crust when you sear it, which means more browned flavor in the finished dish. An hour is ideal, but any amount of time you can give it will help. Elise’s spice rub includes chili powder, salt, brown sugar, and a blend of herbs and spices – this mix is so good that I just left it as is. In fact, the only real change that I made was to add some liquid to the pot – you need some in order to properly cook food in a pressure cooker. You can use fruit juice, broth, or even water, but I went with pineapple juice for its tangy sweetness. I think this complements the spices in the rub nicely! 1 Season the pork: In a small bowl, combine the spice rub ingredients. Pat the pork dry with paper towels, then sprinkle with half of the spice rub. Turn and rub the spice into the pork until the pieces are evenly coated. Use a pair of tongs to lower the pork into the pot so the side with the most fat is facing down. Sear for 5 minutes. Flip it over and sear it for 5 more minutes. Both sides should be browned. 3 Sprinkle the remaining spice rub over the pork, then pour the pineapple juice over the top. It will take about 10 minutes for your pressure cooker to come up to pressure, and then the 50 minutes of actual cooking will begin. 6 Separate the pork and cooking liquid: Use tongs to transfer the pork to a large baking dish or sheet pan. Use heat-proof mitts to lift the inner pot out of the pressure cooker, pour the cooking liquid into a fat separator, then pour the liquid back into the pot. Reserve the fat. 9 Broil the pulled pork until crispy (optional for carnitas): To make crispy carnitas, place the pan of shredded pork 6 to 8 inches below the broiler and broil for 5 to 10 minutes until the tips and edges of the pork are browned and crispy. It's fine to skip this step if you're making a recipe where you don't need the pork to be crispy. 10 Toss the shredded pork with the reduced liquid and serve: Return the pork to the pot with the reduced cooking liquid and toss to coat the pork evenly. If the pork seems a little dry, add a tablespoon or two of the reserved fat. Serve it in tacos with the fixings listed above, or in burritos or rice bowls, or on a tostada salad. Hello! All photos and content are copyright protected. Please do not use our photos without prior written permission. If you wish to republish this recipe, please rewrite the recipe in your own unique words and link back to Pressure Cooker Mexican Pulled Pork (Carnitas) on Simply Recipes. Thank you! hmm! smells great but no way this cooks in 50 minutes. pretty tough out of my instant pot at 50 minutes. putting it back in for another 35 and hoping i can salvage this pork. I made 15lbs of pulled pork with this recipe except instead of using an instapot, slowcooker, or pressure cooker I cooked it sous vide for 24 hours @ 154°F with my Joule. The reaults were absolutely incredible. Pre-searing is key. I just wanted to say that I made this tonight and it was DELICIOUS! I used half the amount of chilli powder and cayenne pepper (because I don’t do well with hot peppers), I didn’t put pineapple juice because I didn’t have it so just water and the rub spices and the pork was so good! I used an electric pressure cooker and the results were just stunning. The meat was well cooked and the flavour came out perfectly. Made it in a stove-top pressure cooker. Meat was undercooked at 45 minutes. Cooked for another 25 minutes, but it was still tough. I’ve made a lot of pulled pork in my smoker, and so am accustomed to “falling apart” tenderness. I also found that browning in the oil made the spices quite bitter and didn’t really get the meat itself that brown. Not good. I made your “Pressure Cooker Chinese Pulled Pork” a month ago, and it turned out great. That recipe, however, does NOT call for browning the meat. Here’s the link to that recipe. So, I think the recipe would work much better without the browning, and with a longer cook. P.S. I have been using a pressure cooker for decades, and I’ve had my current cooker since the 90s, so I am pretty familiar with what to expect. Hi, John! Emma here, managing editor. I’m so sorry this recipe didn’t turn out as expected! I’m a little puzzled by your experience though, though. We tested this recipe several times, and it’s also consistent with other pressure cooker pulled pork recipes we researched. After over an hour of pressure cooking, that pork should have been falling into shreds without even needing a fork! Browning the meat doesn’t affect the way it cooks or the time it would take to cook (browning just adds flavor), so the only thing that I can think of is that something was going on with your pressure cooker. Maybe it wasn’t sealed properly the first time? Or if you were using a stovetop pressure cooker, maybe it wasn’t quite up to high pressure? As you say, you’re familiar with using a pressure cooker, so you probably would have noticed if it wasn’t behaving normally. I’ll keep exploring for possible culprits. Thank you for your feedback! I guess I wasn’t clear. I had TWO problems. The first, which had to do with browning, is that it made the spices quite bitter. Most recipes say to “bloom” the spices in hot oil, but never for more than about 30 seconds. What happened when I browned the meat that was covered with spice rub is that those spices ended up not just blooming, but burning. I think the idea of “browning the meat” is not a good one for this recipe. I put that phrase in quotes because with all that rub on the outside, it is not the meat that is browning, but the spices. Thus, there is little Maillard reaction on the meat itself, and therefore no browning in the usual sense. I agree that browning has very little to do with cooking time. I do sous vide, and when you do a reverse sear, it only adds a degree or two to the internal temp. The bigger issue was the doneness. I am going to check my pressure cooker to make sure everything is OK. 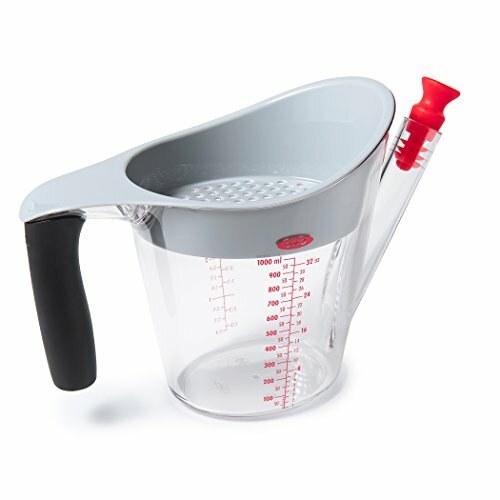 It is a Magefesa that I purchased twenty years ago and that I use at least twice a week. It only has a 15 psi setting, and is as simple as my mother’s old aluminum pressure cooker with the chatterbox weight on the top. Once it starts hissing, basic physics (because of the weight of the regulator) says that it has to be 15 psi. I’ll try again in a few weeks, but with some modifications, and see if I can get a better result. As I said, your Chinese pressure cooker pulled pork turned out great. Ahhh, I see. Your explanation makes sense. I’ll look into the issue with the spices — I actually think it would work just as well to sear the pork on its own and then add the spices in the pot, but will see what the recipe testers say. And yes, it really is a puzzle that the Chinese pulled pork turned out so well, but this one didn’t! I look forward to hearing about your further experiments! With bone-in pork shoulder, you’ll end up with a slightly smaller yield, but the recipe should work the same. Cut around the bone to separate the roast into two pieces, if you’re able! If not, I would try increasing the cooking time by about 15 minutes, to ensure that the pork gets tender even when cooked in one big piece. I’m so sorry this recipe didn’t work out well for you! If you want, you can try cutting the meat into 2 to 3-inch cubes before cooking, next time. Smaller pieces of meat do get tender more quickly when cooked under pressure. On big pieces of meat as a London.broil for beef tacos you will succeed in having the most tender meat if you cut it up into 2×2 pieces. Then use a hand mixer to shred it beautifully. Guaranteed!!! We made this over the weekend. It was pretty salty. Good flavor otherwise though. I don’t know if it was because our kosher salt was not the same quality as the kosher salt used in the recipe. Are all kosher salts created equally? We ended up using the pork in bowls with brown rice, pinto beans, cilantro, red onion, cheese, sour cream and avocado, which was delicious and cut down on the saltiness somewhat. I’d like to make this again but cut down on the salt. I’m thinking maybe I would use all the spices except salt in the rub. Then I could salt the pork before putting the rub on. Hi, Rachel! Emma here, managing editor for Simply Recipes. It might just be that your family prefers less salt, so you can by all means just cut back on the amount of salt in the recipe. Sounds like your rice bowls ended up being a great solution. Enjoy! Thanks for the response, I’ve been meaning to come back with an update since I’ve made this again. The second time, I made the spice rub without the salt. Then I salted the pork shoulder directly before putting on the spice rub. That change made all the difference and we love this recipe now! I have been searching for a quality carnitas recipe for some time. This is superb and very easy to prepare in an instant pot. I like to fry my shredded pork, adding the juice to make it even more delicious. This recipe has all the right spices and the prep time is easy. I had two frozen pork loins- don’t usually use the loins but they were immediately available. I had to cheat-defrosting them in the microwave. I then cut them into thirds and put them into a glass baking dish and added the rub. After searing I placed them back into the baking dish and worked the remaining rub into the pork pieces. Here I picked back up on the easy to follow recipe. I have an 8 qt pressure cooker. If I double the recipe, do I need to increase the time? Nope, you can keep the cooking time the same! I’d use a maximum of 6 pounds of meat in an 8-quart Instant Pot (7 pounds would be pushing the capacity a bit), but keep the other (doubled) quantities the same. You may also need to sear the pork in a couple batches, if it does not all fit in a single layer at one time. 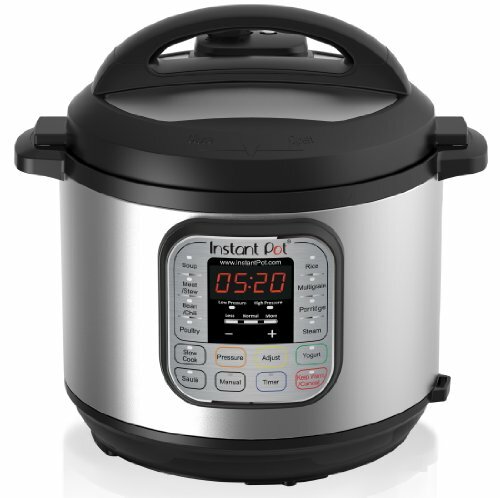 I’m also relatively new to pressure cooking/instant pot and am totally sold! We’ve made this twice already because it’s insanely good. Great exactly as written, and for sliders your favorite pulled pork application ;-) . The hint of cinnamon puts it over the top…all the subtle flavors come out in this one. Don’t skimp on step 10 either- the first time I thought it would be too wet and drippy for tacos/sliders, but it absolutely makes the dish even better! Okay… so I realized I didn’t have any chili powder, and decided to substitute with five spice, which may seem redundant or odd… BUT IT WAS AMAZING! Foodies who were at my house for dinner were raving about the recipe. Everyone was eating it as both sliders and pulled pork tacos. Definitely will be making this again! All of the recipes look and sound so delicious. Still a bit afraid to use the Instant Pot but will try it soon. I am new to the world of Pressure Cooking so was a little nervous, but it turned out great! I am going to make it again for Company tonight. So glad to hear it! Hooray! I made this for a family gathering and it turned out great, perfectly cooked and seasoned. We didn’t broil it as suggested but it still turned out well, even without the crispy bits. The pork went well as street tacos topped with just onion, lime and cilantro. I was disappointed in this recipe. I’ve made the slow cooker version many times and loved it. But the pork came out rather tough and when I finally cut one of the halves open it was not cooked all the way through! And I cooked it for longer than the recommended time. I’m sorry this didn’t turn out well for you! Was the pork frozen or not fully thawed before cooking? Were the pieces especially thick (more than 3 inches)? If your pieces of meat are especially big, it can help to cut them down to 3-inch cubes before cooking. Additionally, you may pressure cook the pork for a few more minutes if it’s not yet done to your liking. The pot comes up to pressure in just a few minutes when the ingredients are already hot, so it’s not nearly as time-consuming as getting the pot up to pressure the first time around. Do you think pork sirloin, which is very lean, would work as well? Happen to have some in the freezer I would like to use! I think sirloin is better suited to roasting and slicing, while tougher cuts like shoulder are best for recipes like this one. If you do try it out, though, I’d definitely be curious to know how it turned out! Fab recipe!! My pressure cooker is my best friend in the kitchen. I got it from my mum’s as a birthday present. Love your recipe, mouthwatering! This looks delicious! I have to get an InstaPot!